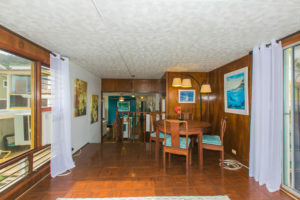 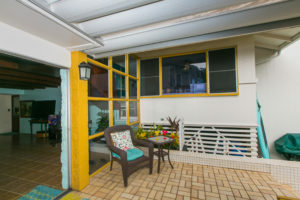 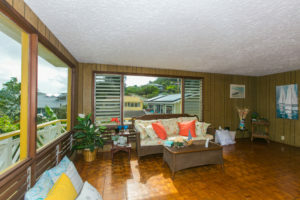 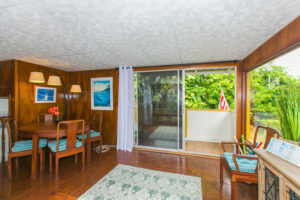 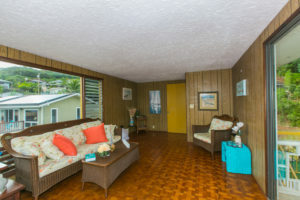 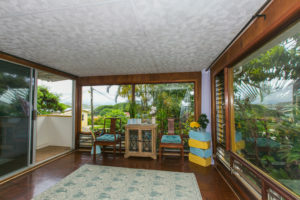 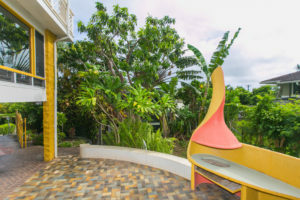 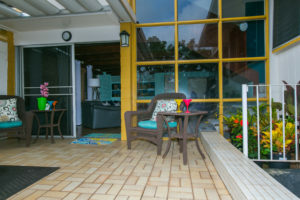 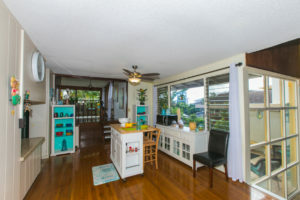 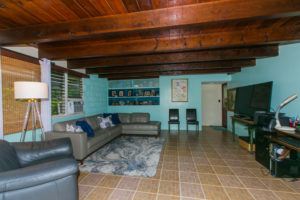 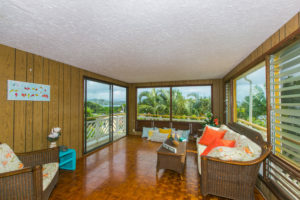 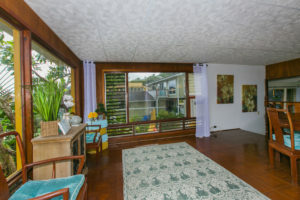 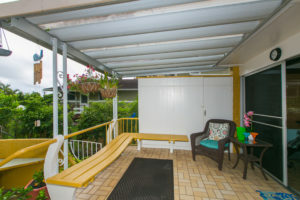 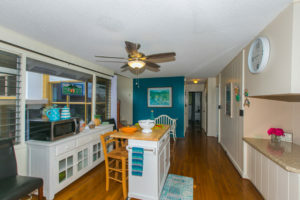 Unique custom built Kaneohe contemporary featuring sunroom on top floor with outside entrance and beautiful views of K Bay and vegetation. 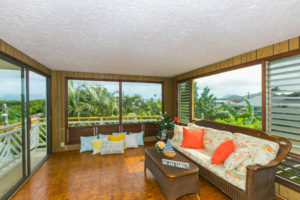 The lanai and windows offer a liberating feeling. 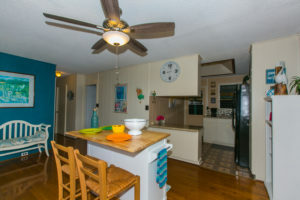 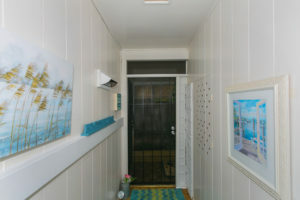 The main level features the kitchen, dining room, 3 Bedrooms and full bath. 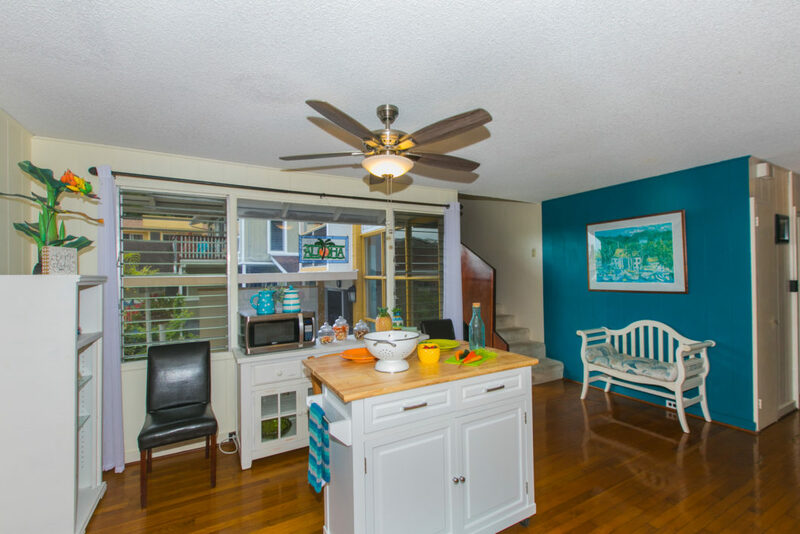 A few steps up & you’ll enter a private master BR suite with a newly renovated master bathroom with double sinks and a soaking tub. 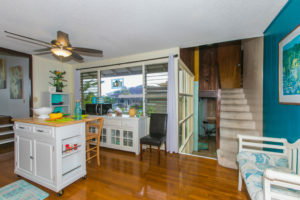 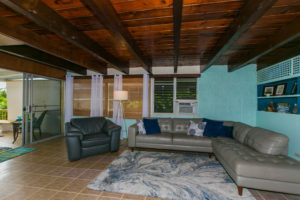 A large spacious living room for entertaining is off the front lanai and is adjoined by the indoor laundry room & powder room with access to the very private rear yard.